The goodness of Vitamin A has long been a part of our consciousness especially it’s benefits for a stronger vision. What is not commonly known is that Vitamin A is also responsible for a lot of other health benefits like aiding in natural cell production and enabling a better reproductive system. This fat-soluble vitamin makes the immune system stronger, promotes better bone health and aids in faster healing from injuries and ailments with its antioxidant properties. 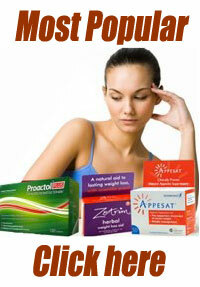 It is highly recommended during pregnancy as it aids in proper development of the embryo and fetus. It also aids in keeping skin healthy especially the skin and mucous membranes around the mouth. Vitamin A play an important role in our vision, especially the ability to see in the dark. A deficiency of vitamin A van be problematic and cause xerophthalmia, which may result in irreversible damage to the eyes and blindness. Vitamin A deficiency is a major cause of blindness in the world. 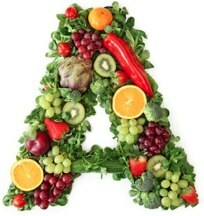 Vitamin A is also important to maintaining healthy skin and it helps the body to resist infection. If you are looking for foods high in Vitamin A then you need to keep one important fact in mind. There are 2 sources for vitamin A – the animal sources are called retinoids which include retinol and the plant sources are called carotenoids which include beta-carotene. Liver: All animal livers or pate as they are known as in the culinary world, are good sources of vitamin A. You will get a good dose from turkey livers but beef livers are also great in this regard. Along with this they are also packed with minerals and other nutrients which make them quite a power food. Peppers: Who would have thought that peppers have more to them than just the hot exterior they showcase! Red pepper, paprika, chili powder or cayenne no matter which form you choose you will get more than the exotic taste. You will also benefit with a healthy dose of vitamin A.
Pumpkins: Pumpkins supply the body with loads of beta carotene which is converted to vitamin A once ingested. Just half a cup can give you a whopping 953mg of vitamin A without adding to the calorie quotient. You can have it as a pie or a soup, it is good either ways. Sweet Potatoes: Sweet potatoes rank pretty high in the list of top 10 foods high in Vitamin A which is good news for all those love the taste and texture of this food. They are packed with vitamin A and form a part of many dishes as baked or mashed potatoes or as an ingredient in tossed or roasted veggies. They too supply the vitamin in the form of beta-carotene. Carrots: This root vegetable is packed with beta carotene which is an excellent antioxidant and turns into vitamin A once it goes into the body. One can have it raw or cooked either ways it works. If you are particularly health conscious then you can even opt for carrot juice which will give you a whopping has 1,692 mg of vitamin A. To ensure a healthier choice opt for baby carrots or organic ones. Butternut Squash: The deliciously nutty and sweet butternut squash does more than create a great dish. Its provides the body with large amounts of vitamin A. Same with winter squash which is packed with beta-carotene making them one of the top foods high in Vitamin A. Dried Herbs: Dried herbs are not just essential seasonings when we cook but packed with goodness of vitamins and minerals as well. Dried parsley is highest in its vitamin A content but you will also find ample doses of the vitamin in dried marjoram, basil and oregano. Lettuce: All kinds of lettuce are good sources of vitamin A but you will get more from the darker varieties. The red and dark green ones will provide you with more nutrients than the more popular iceberg variety. Cantaloupe: Everyone knows that cantaloupes are filled with essential vitamins and other nutrients along with other yellow and orange melons. They provide you with all these goodness along with great taste which makes them popular for desserts as well as for snacking in between the meals. Add some of these to your daily diet and see the difference in your health.